The work Endemic has put in in the UK over the last few years has cemented his name as a synonym for quality, hard-hitting production with a keen ear for melody. 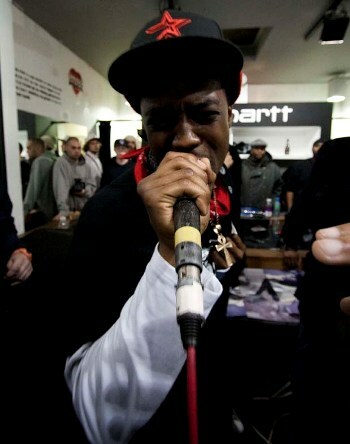 His first instalment in the Terminal Illness series was a landmark for UK Hip Hop; receiving a rare overseas distribution deal from Money Maker/EMI Music that garnered him attention from internationally-renowned Hip Hop artists, and lead to his début featuring MC’s such as Sean Price, Planet Asia, Hell Razah and Killah Priest. In the years following his impressive initial release, he went on to establish No Cure Records, release a modern classic in Cyrus Malachi’s Ancient Future LP, collaborate with Ruste Juxx for their Adamantine release through label heavyweights Duck Down records and relocated to Brooklyn. With this sterling sequel to the album that made his name, the producer has now come full circle. Once again his tracks have been blessed by some of the most talented names in underground Hip Hop, the list of features reads like a guided tour of intellectual rap talent that reaches from London to New York; all spittin’ that Knowledge, Wisdom and Understanding over the cinematic instrumentals Endemic manifests on Terminal Illness Part 2. Shabazz The Disciple, Killah Priest, Planet Asia, Roc Marciano, Afu Ra, Melanin 9, Tragedy Khadafi and more share their insight over 15 essential tracks, crowned by some fierce cuts from three-time DMC World Champion, DJ Switch. Switch slowly builds momentum with skribbles and orbits over a mid-paced yet menacing intro that culminates in an ominous sample before King’s Indian Attack begins the onslaught. Upon hearing Masta Killa’s opening greeting of ‘yes yes y’all‘ you know you’re in the right place; it’s straight up, head-nod Hip Hop at it’s best, the title’s chess reference befitting the meticulous approach Wu-Tang affiliates Masta Killa, Cappadonna and Bronze Nazareth bring to the energized track. High Society is the british producer at his most polished, the beat demonstrating his progression as he steps away from the sound he had perfected previously to progress into full, multi-layered orchestration and a new-found scope that makes the dramatic element to his sound seem all the more urgent. Tragedy Khadafi’s verse is as deep and lyrically witty as anything he wrote back in the day as Intelligent Hoodlum; Ruste Juxx spits that stylish flow with so much hunger your stomach might start rumbling just listening to him, and Afu Ra holds his own on an LP replete with intellectual heavyweights despite his content remaining much the same. Brothers Kevlaar 7 and Bronze Nazareth reunite with their Wisemen counterpart Salute Da Kidd for Purple Heart’s slick string soliloquy, and the serving up of soul-samples that come as a staple of any producer’s palette are as fresh as they come. Royal Flush has one of the best uses of sample I’ve heard in a chorus since Primo perfected the art form, DJ Switch’s scratches giving the song an incendiary start that’ll make you wana scream ‘bomb first‘ at whoever next steps into your line of sight. Planet Asia’s allusion to the supreme mathematics, fly rhymes full of self-assured style and tales of bar-fighting hillbillies are dope, and once again Juxx brings more than enough steez to make up for the knowledge his rhymes sometimes lack. Capos sees more solid bars from Kevlaar 7 and PR Terrorist get his first opportunity to flow, which he doesn’t waste, coming with a style thats loose and natural with some interesting ideas in his bars. The song’s highlight was always guna be Roc Marc; the melody accommodating Marciano’s liquid flow as it trickles over plucked string arrangements with his trademark cool. Although it might seem that the classical-influenced, latin tones of the interlude might serve to calm things down; it’s real purpose is to act as a mental oasis before the oncoming lyrical storm lashes in the LP’s second half. Babylon Reload speaks upon the American in-Justice system through three of the underground’s most beloved sons. The original Sunz Of Man reunite and all bring the heat, unfortunately the track is too lightweight considering the calibre of the rappers. Killah Priest’s verse is the highlight; his words as cryptic and steeped in esoteric interpretations of ancient mythology and contemporary cabals as they were when he originally joined the clique in the 90’s, but ultimately a harder beat could have turned this overdue collaboration into a golden opportunity, rather than leaving the listener searching for a silver lining. Political Criminals 2013 immediately sets the album back on it’s previously pristine path with one of the best beats on the album; from the deep intro from Jordan Maxwell to Cyrus Malachi’s verse that aptly ends the song with words too deep for any MC to follow, it’s a powerful track that defines the type of modern Hip Hop the original intent of the music has grown into. PR terrorist and Bugsy Da God have strong verses, but Malachi’s rhymes are unfuckwithable over a beat like this discussing the topics he knows best, his ‘Pouring white phosphorus over a dying populace’ line made me cringe and shake my head to simultaneously, admiring the skill and bitter truth contained within his words. It’s no coincidence that when considering the album’s lyrical highlights his dominant verse is only matched by his Triple Darkness contemporary Melanin 9. Staying within the UK’s most undeniably insightful camp on Circle Makers; TD’s Ray Vendetta and Tesla’s Ghost collaborate to create a barrage of rhymes that coast over one of Endemic’s most grandiose beats to date. The song is beyond the capabilities of most, an unmeasurable amount of verbal craftsmanship that exudes effortlessly from the combination the contemporaneous MC’s bring forth. Calisthenics needs no psuedo-intellectual interpretation from me to clarify it’s bold, battering-ram approach. The beat slays, and the MC’s hold it down to the fullest, Bugsy Da God especially using his pen to pour prolifically over the page and spit a mean verse that holds it’s own next to Tragedy Khadafi’s titanic ability. The last interlude Elite is a smooth blend of loops and drum rolls complete with another sound-byte of Maxwell orating on the propaganda methods employed by the control system, adding further context to the album’s content. 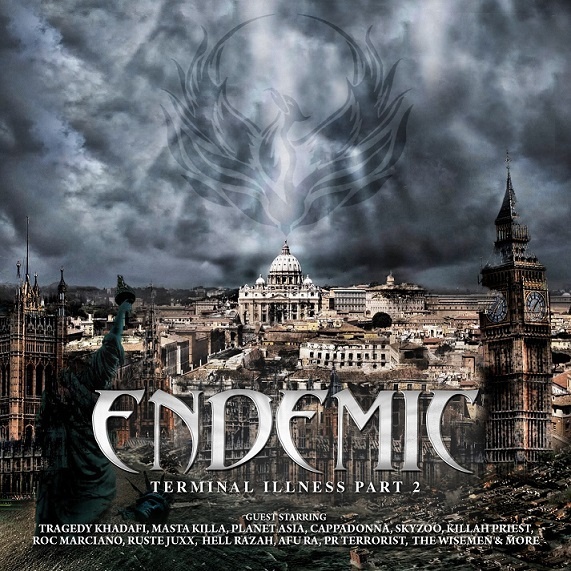 Before I read the list of MC’s featured on Terminal Illness Part 2 and bought the album without hesitation; Cardinal had drawn my attention with it’s clever use of a few loops and simple drum patterns over groovy basslines that Darkim be Allah and Supreme spit heavy verses on. 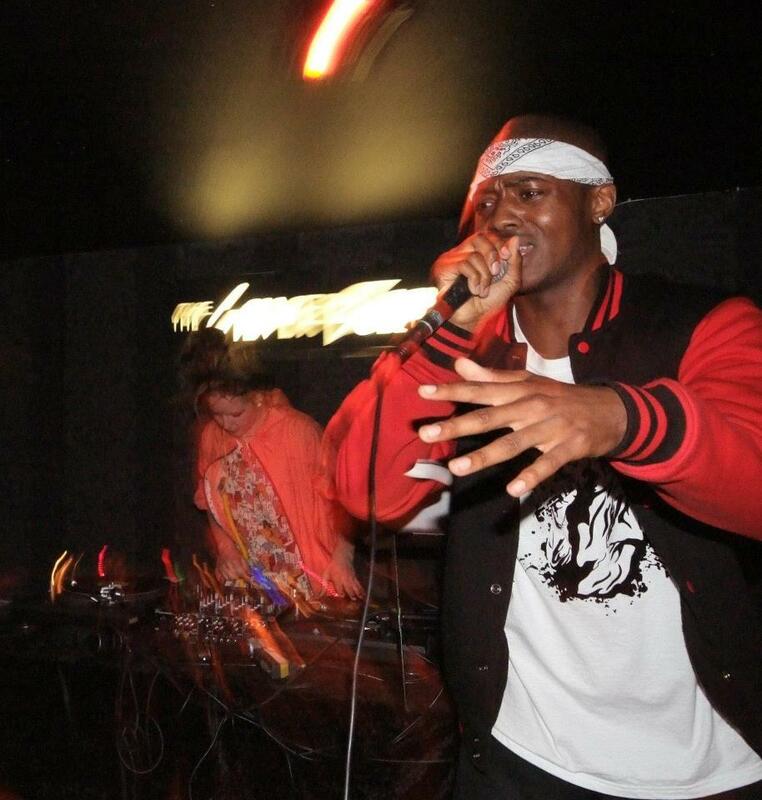 Both MC’s flow thick with 5% rhetoric and ill wordplay, and DJ Switch once again stays on point providing more tightly-knit chops on the ones and twos. The serious tone gets a lift on 20/20 Vision as Endemic’s production takes on a more major key and Tragedy Khadafi’s bars get an uplifting overhaul, the legend singing Sinead ‘O Connor and quoting Obama before referencing the 120. Skyzoo’s verse is as honest and solid as expected, the guy has been on his grind the last few years and built himself a deservedly large following through his work in BK’s underground, and both Kevlaar 7’s concise chorus and Salute Da Kidd’s smooth sixteen are two more reasons the song stands out. Closing anti-masonic epic Diamond Knights is a holy war of it’s own as Sunz Of Man founder and cousin to the RZA Prodigal Sunn spits flames on another of Endemic’s street sagas. 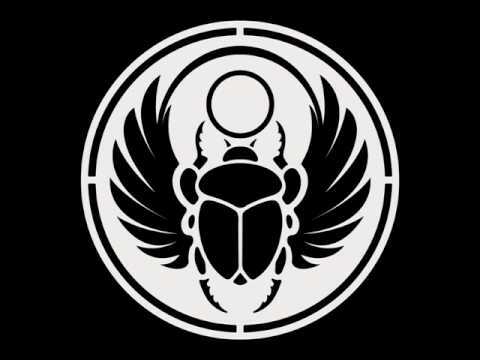 His verse is as impenetrable to the uninitiated as the bars from William Cooper and M9 are; all three men using this opportunity to speak on only the most thoughtful of topics, collectively covering Haille Sellasie, micro-chipping, the Knights Templar, Operation Trident and the souls of dead Pharoahs. Melanin 9’s verse is untouchable, and takes repeated listens to decipher based on overstanding the words he’s using alone; to spend time beginning to learn of the subject matter he’s so well versed in is more of an active decision to change your worldview and expand your consciousness than it is a casual effort to work out some bars. 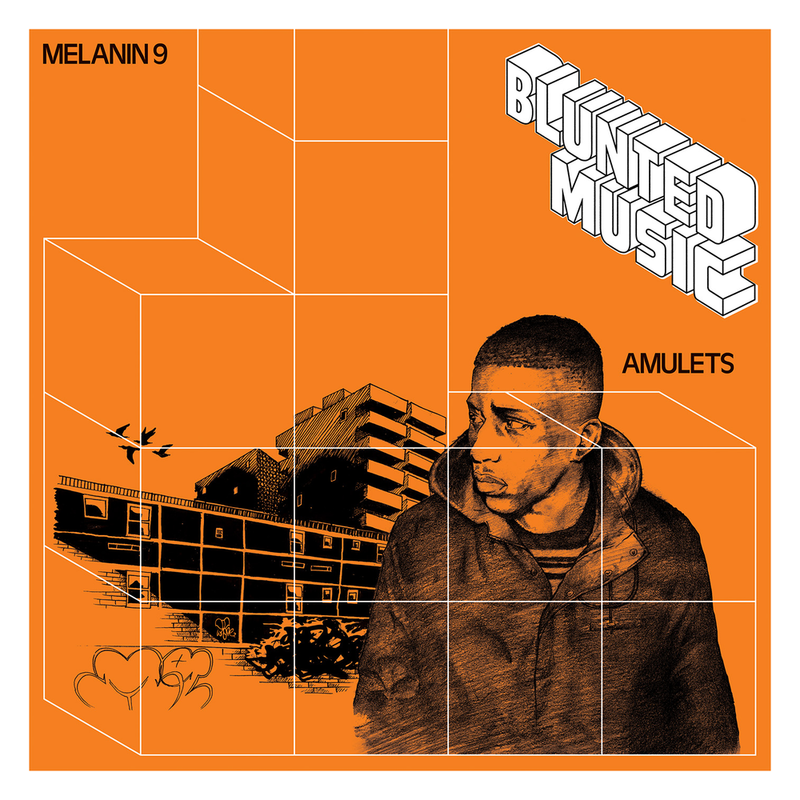 The album is brimming with brilliant vocal deliveries that breathe new life into the scene; every MC penning nothing but critical verses that belong in the memory banks of any serious head’s extensive back catalogue of bars. If you’re into this Hip Hop thing for more than simple entertainment or shallow distraction from your day to day, and prefer MC’s that drop knowledge not name-brands, Terminal Illness Part 2 album is a literal gift from the gods; and with his technically brilliant and viscerally exciting production on this essential sequel, Endemic deservedly takes his place amongst that pantheon. Buy it straight from the man himself here, or get it at your regular digital vendors. 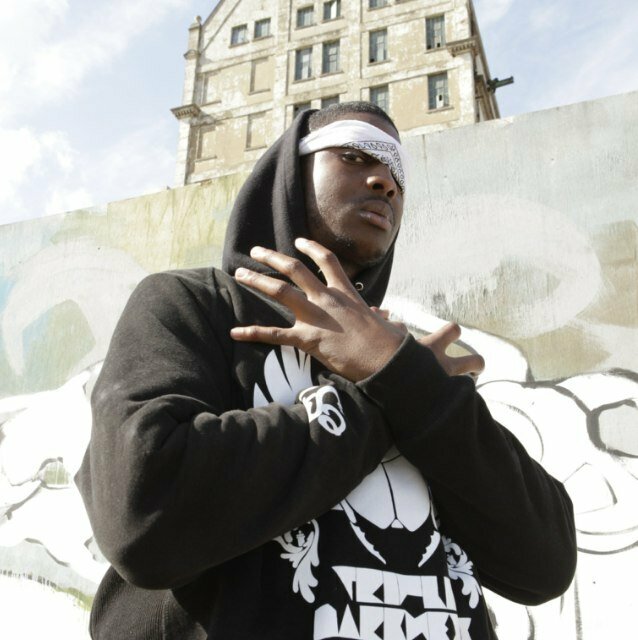 Posted in UK Hip Hop Blog, Worldwide Hip Hop	Tagged 5% nation, Afu Ra, Bronze Nazareth, Cappadonna, cyrus malachi, Darkim be Allah, DJ Switch, Endemic, EyeKnowHipHop, Hell Razah, Killah Priest, Masta Killa, melanin 9, Planet Asia, Prodigal Sunn, Ray Vendetta, Review, Roc Marciano, Ruste Juxx, Shabazz The Disciple, Skyzoo, Sunz Of Man, Supreme, Terminal Illness Part 2, Tesla's Ghost, The Wisemen, Tragedy Khadafi, triple darkness, Uk Hip Hop. North London MC Ray Vendetta comes out spittin like he’s got something to prove on his first official Triple Darkness release. MKD’s 7th Dan handles production for the most part, and creates a darkly brooding atmosphere that sets off the EP’s ominous tone from the get-go. Every song’s a street anthem and a thought-provoking zoner in one. As with every TD member, Ray’s lyrics are deeply interwoven with mysticism and esoteric knowledge that immediately impresses; while his contextually relevant rhymes possess a depth that allows the listener to return as his or her’s wealth of knowledge increases, and find deeper meaning within the lines. Thematically every MC to feature on 7 Swordz Ov Light covers a wide array of important topics; each verse serving as a potential catalyst to spur the listener onto their own path toward wisdom if listened to with open ears and mind. Ray wastes no words on trivialities, and there’s not a bar on the whole EP that isn’t potentially career-threatening for Britain’s lazier MCs; on Seven Swordz Ov Light not only has he firmly announced his arrival within the TD camp; but has stepped up his whole lyrical game to mark the occasion. The Grand Opening lets you know from the start. This is no easy-going club rap for the deaf, dumb and blind; this is righteous rhymes from the heart. His mid-paced flow is confident and well-informed over the melodic beat, as he layers tight lines heavily laden with style. In my view, before this EP his verse on Cyrus Malachi’s Papercuts was his best work; after listening to this there’s too many standout verses to even call it. The title track is exactly why I back UK Hip Hop so heavily, 7th Dan needs to calm down before he takes his own headtop off with snares that hard; every beat smacks like a backhand from God, which is apt considering the Supreme Mathematics encoded in the EP’s title. I suspect the choice for the title’s numerology to correspond to the alphabet’s Seventh letter, the 7 days of creation in Genesis, the notes on the musical scale, the chakra system, and the representation of perfection in ancient Kemet was an0ther intentionally occult move on Ray’s part. Fire In The Pen is nothin’ but warfare on the mic with no apologies; and keeps things moving at a speed that barely gives you time to chill between each songs heavy attack, with the verses from Ray and Cyrus Malachi providing a deep listen, both rhyming as uncompromising and captivating as ever. Addictions is the first real variation in beat and tone on 7 Swordz so far; and relaxes things slightly despite the continuation of the weighty content. Ray takes a sombre and thoughtful look back on his past vices through a lens uncoloured by shame or regret; instead sounding humbled by his previous shortcomings and grateful for the lessons he was given. His words warning of over-indulgence in women and herb, and his ability to recant his more youthful assertions on how to live are wise; and should be commended for their power to positively influence the younger generation listening. God knows there’s more than enough voices promoting the opposite over the airwaves these days. Tesla’s verse on Genuine Cuts is one of his most solid, amongst a back catalogue of bars harder and denser than neutron stars; Ray’s long-time collaborator and comrade keeps getting better with every guest verse I hear, hopefully 2014 will see the Two MC’s releasing many more collaborations along with a Tesla’s Ghost solo LP. Take any MC from TD and put them on a track with Cyrus Malachi & M9 and you’ve got a trinity capable of some serious verbal contusions. Take the pair and add Ray Vendetta and you get one of the best songs on this already outstanding EP. 3 Strike Kill holds some serious wisdom, M9 in particular showing his dexterity as he drops lines that could have easily nestled amongst his best-to-date on his Magna Carta LP that dropped a year ago. Director and film-maker Jimmy Chiba expands his cache of dope music videos with another edition to the already interesting content on his youtube channel; and Malachi and Vendetta’s verses serve up some more of that fire in the pen they brought to the table earlier. 7th Dan creates some seriously epic melody behind the Three dreamscapes Ray writes on Reality’s Dream, the second verse in particular stands out for it’s vivid descriptions; “In dream Two I’m shivering, chains ’round my ankles, I’m feeling seasickness, the slave ship rammed full, up to the brim no space for me to move, my inside eating itself from lack of food, desperation, I can hear it in my brother’s cries, old dad got his back lashed, I saw him die.” He does what only a few MCs can do and turns past events such as slavery into contemporary source material without sounding contrived or forlorn. It took a while for impartial information to be published concerning slaves that stood up and took their freedom by force; which makes songs like this important for upcoming generations more likely to blast a mixtape than sit and read the ‘Narrative Of The Life Of Fredrick Douglass’ or be Googling Nat Turner & Denmark Vesey. Bodyshotz is where the EP needed to go after the heavyness of the last track; Ringz Ov Saturn slows the pace to a crawl and lightens the tone as his beat prowls through dense string melodies and Phoenix Da Icefire flows cool and calm as his TD alias Solar Black, his darts sharp and on point as always. 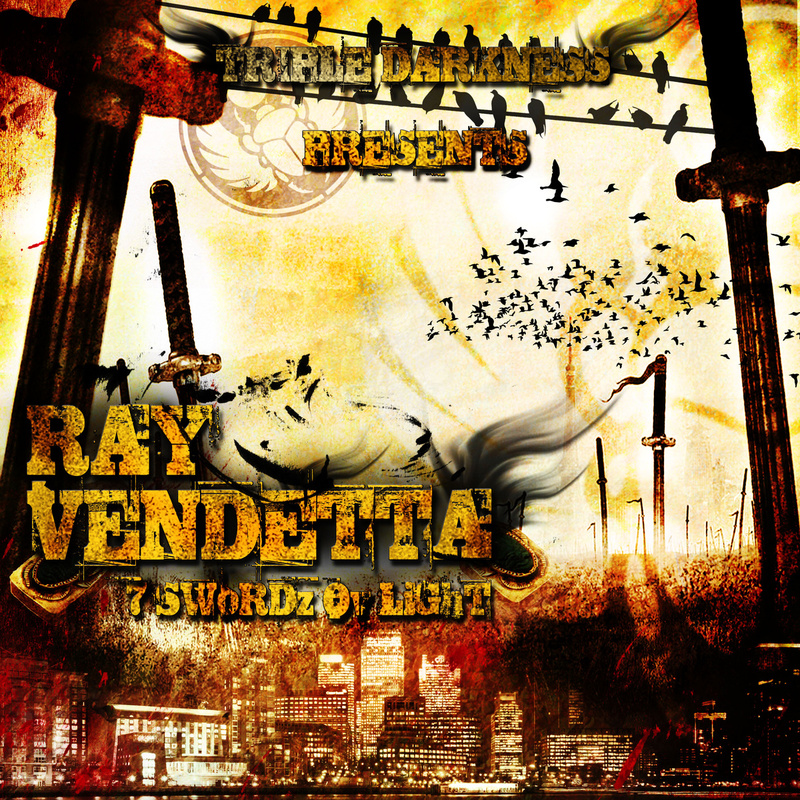 Ray Vendetta presides over the track with authority on a strong chorus and another hard sixteen from his brimming back catalogue of bars; his ability to adapt to a slower style of spittin adds a definitively strong presence to tracks like this one and on the subsequent track That Gang. As the EP continues it’s unstoppable momentum, Iron Braydz and Vendetta give the system’s enforcers a piece of their mind and weigh in on the heavy police presence and racial profiling rife both globally, and closer to home in London on another slammin Ringz Ov Saturn beat. Seven Swordz Ov Light is flat out one of the best releases of last year; if you like your Hip Hop underground, rugged, intelligent and righteous you owe it to yourself to cop this EP; Vendetta’s honest portrayal of the environment he sees on the daily is modern Hip Hop in Britain at it’s most lyrically prolific and accomplished. When he adds to that already deadly concoction a heavy dose of knowledge, love for the culture and the raw hunger that exalts all members of Triple Darkness; he elevates to levels unattainable by so many of the crew’s somnambulist contemporaries on these grey shores. Posted in UK Hip Hop Blog, Worldwide Hip Hop	Tagged 5%, 7 Swords Ov Light, 7th Dan, british rap, Chiba Visuals, cyrus malachi, ep, M9, melanin 9, phoenix da icefire, Ray Vendetta, Review, Solar Black, TD, Tesla's Ghost, triple darkness, Uk Hip Hop.